Pet Express Transport Services (PETS) provide transportation carriers to cater for all shapes and sizes of dogs. When PETS are moving dogs in their travel kennels special consideration is given so that they have ample room to lie down, sit up or turn around. Special consideration is also given to the shape of the dog’s snout or breed when we are selecting the water container that will be attached to the travel kennels. PETS can also add a custom cut stay dry fleece mat to the bottom of the travel kennel for extra comfort whilst your pet is traveling. 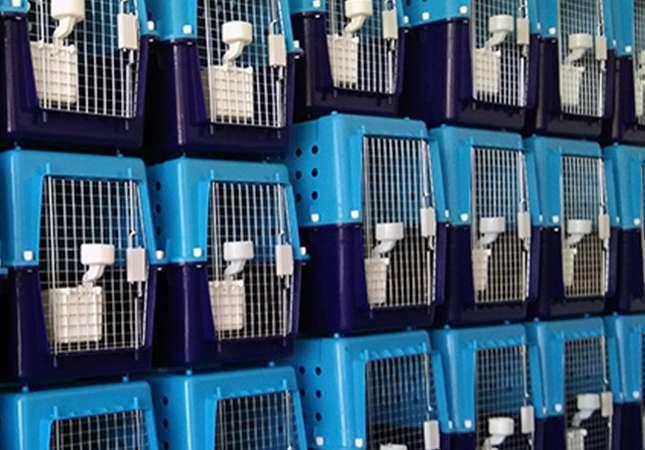 All our dog travel crates are manufactured according to the International Air Transport Association’s (IATA) standard.